AS A BIKE SHOP WERE ALWAYS LOOKING FOR STOCK. MOST BIKES CONSIDERED FROM MOPEDS TO GOLDWINGS. RUNNING OR NOT RUNNING , MOT OR NOT MOT'D . FRIENDLY PROFESSIONAL SERVICE COVERING MOST OF UK. COMPLETED TO CORRECT DVLA STANDARDS . call us before setting off. call us before setting off. 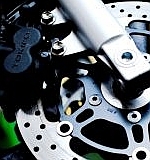 2009 GENUINE UK HONDA CBF1000 A-9 ABS MODEL WITH H.I.S.S SECURITY . REGISTERED 14/03/2009 WITH 44,132 MILES BY MATURE OWNER WHO HAD IT FOR 6 YEARS , SUPPLIED WITH FULL HISTORY INCLUDING WARRANTY BOOK/WITH CARD , SPARE KEY , ALL ITS OLD MOTS AND NUMEROUS RECEIPTS FOR SERVICING AND EXTRAS . A WONDERFUL TOURING BIKE WITH TRIPLE DETACHABLE COLOUR CODED HONDA LUGGAGE WITH PILLION BACK REST , SCOTOILER TOURING , HEATED GRIPS , TOURING GIVI SCREEN WITH WIND DEFLECTOR , EXTRA LED DRIVING LIGHTS , HUGGER , STAINLESS STEEL CBF LOGO RADIATOR COVER/PROTECTOR , R&G CRASH BUNGS , FENDER EXTENDER , AIR HORNS .. SOMEBODY HAS SPENT ALOT OF MONEY ON THIS BIKE ! STARTS , RUNS AND RIDES PERFECTLY AND VERY WELL MANNERED WHILST OUT ON THE ROAD WITH EXCELLENT BRAKES AND NICE COMFY RIDING POSITION . EXCELLENT TOURING BIKE WITH MOT UNTIL 12/02/2020 . BARGAIN, Red, Please be sure to ring before coming to view any of our bikes as were not always at the shop ! call us before setting off. ABSOLUTELY EXCELLENT - RARE FIND ! ! Black, Tidy Old CBR600 Steel Frame Model , Imported in 1996 , Declared Manufactured 1993 , 7 Owners Since , Attractive Black and Purple Paintwork , Stainless Steel Brake Lines , Healthy Motor , Decent Tyres , Forkseals , MOTd til Sept , But Will Re Mot For New Owner if Needed , Cheap Bike, Please be sure to ring before coming to view any of our bikes as were not always at the shop ! HPi CLEAR IMPORT WITH 5 OWNERS Since 1999 . 52,444 Miles Runs and Rides Well With Stainless Steel Downpipes and Race Can , Finished in Pearlescent Green With Repsol Decals, Fitted With New Brake Pads All Round and 12 Months MOT , Last of the Carb Fireblades , Cheap bike , BARGAIN, Green, Please be sure to ring before coming to view any of our bikes as were not always at the shop ! call us before setting off. M REG 1994 , GENUINE UK HONDA PANEUROPEAN , HPi CLEAR , 6 FORMER OWNERS , FINISHED IN FACTORY DEEP METALLIC PURPLE , THIS BIKE HAS SEEN MANY TOURING TRIPS AND HAS COVERED 104K AND THIS MAY PUT SOME PEOPLE OFF , HOWEVER , THOSE IN THE KNOW WILL UNDERSTAND THAT THESE BIKES WILL DO IT AND ARE A HIGHLY REGARDED TOURER WITH TWO MAIN WEAK POINTS TO LOOK FOR WHICH ARE SWING-ARM CORROSION AND ALTERNATOR ISSUES , BOTH OF WHICH ARE SOUND ON THIS BIKE ! 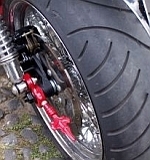 THIS BIKE ALSO HAS A COMPLETE STAINLESS STEEL EXHAUST SYSTEM FROM START TO FINISH WHICH COMPLIMENTS THE GROWL OF THE V4 NICELY , ALSO HAS TRIPLE DETACHABLE COLOUR CODED GENUINE HONDA LUGGAGE SYSTEM , A TALLER TOURING SCREEN , OXFORD HEATED GRIPS , A USEFUL CHARGE POINT LOCATED IN THE FAIRING INFILL, IDEAL TO CHARGE YOUR DEVICES WHILST ON THE MOVE , SATNAV SECURING POINT, ADDITIONAL HONDA WIND DEFLECTORS AND GB LOGO'S MAKING THIS BIKE READY FOR EUROPEAN ADVENTURES ! RECENTLY FITTED WITH NEW TYRES , NEW RADIATOR AND REUPHOLSTERED SEAT , 12 MONTHS MOT , YOU CERTAINLY WONT BE DISAPPOINTED FOR THE ASKING PRICE SO STRICTLY NO OFFERS WHATSOEVER , THANKS , Please be sure to ring before coming to view any of our bikes as were not always at the shop ! call us before setting off. LOVELY WELL MAINTAINED HONDA VFR750 WITH FULL MOT ! call us before setting off. MUST BE THE NICEST 750 SHADOW FOR THE PRICE ! call us before setting off. 1998 R REG , LOVELY UK HONDA VTR1000 FIRESTORM IN ORIGINAL STRIKING HONDA YELLOW PAINTWORK , HPI CLEAR , TIDY BIKE , CNC MACHINED TOP YOKE WITH RENTHALL BARS , LOVELY EXAMPLE WITH ONLY 25K AND EVERY MOT FROM NEW , EXTRAS INCLUDE COLOUR CODED FAIRING LOWERS AND SEAT COWL , TWIN STAINLESS STEEL FUEL SILENCERS WITH REMOVABLE BAFFLES , MANUAL CAMCHAIN TENSIONERS , OTHERWISE ORIGINAL , A VERY ENTERTAINING AND FUN BIKE TO RIDE WITH MOT UNTIL 14/06/2019 BUT NO FAULTS AND WOULD HAPPILY RE-MOT FOR 12 MONTHS IF REQUIRED . A LOVELY BIKE FOR THE SUMMER, GENUINE PEOPLE ONLY PLEASE , STRICTLY NO OFFERS, Yellow, Please be sure to ring before coming to view any of our bikes as were not always at the shop ! call us before setting off. PEOPLE KEEP ENQUIRING ABOUT BIKE FINANCE ! WE DO NOT SELL OR ARRANGE ANY BIKE FINANCE ! A BIKE WITH FAR LOWER RATES OF INTEREST ! WE DO NOT HAVE CREDIT CARD FACILITIES-NO CARDS ! PLEASE CONSIDER THESE FACTORS WHEN CHOOSING A BIKE. NEVER LIKED MY RD500 AS MUCH! MY REBUILDING DAYS ARE GONE ! Gold, GENUINE UK 2001 KAWASAKI ER500C1 MODEL WITH ONLY 31,000 MILES ON THE CLOCK ! FANTASTIC LITTLE BIKE, LAST MATURE OWNER HAD IT 14 YEARS , RECENTLY HAD MANY PARTS POWDER COATED IN SATIN BLACK Including .. WHEELS , SWINGING ARM , FOOTREST HANGERS , CRASH BARS , GRAB HANDLE , PLUS MANY MORE PARTS . THE KAWASAKI GOLD PAINTWORK AND THICK SATIN BLACK POWDER COATING GO WELL TOGETHER AND GIVE THE BIKE A FAR MORE MODERN LOOK AND FEEL .A LOVELY RUST FREE MOTORCYCLE THAT WILL STAY NICE FOR A LONG TIME ! VERY STRAIGHT AND CORRECT , STILL HAS THE ORIGINAL INDICATORS , MIRRORS , EXHAUST SYSTEM etc etc. FITTED WITH NEW BATTERY AND 12 MONTHS MOT, EXCELLENT FIRST BIG BIKE OR DAILY COMMUTER, Please be sure to ring before coming to view any of our bikes as were not always at the shop ! call us before setting off. 1983 KAWASAKI GPZ305 BELT DRIVE , VERY LOW MILEAGE BARN FIND WITH ONLY 6144 MILES FROM NEW AND ORIGINAL RUNNING IN STICKER STILL PRESENT ON CLOCKS ! ! ! 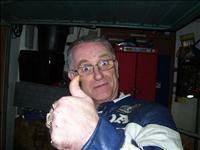 THE BIKE APPEARS TO BE AN AMERICAN IMPORT REGISTERED IN THE UK 14/05/2004 WITH 2 PREV OWNERS . ITS LAST OWNER WAS AN ELDERLY GENT WHO PURCHASED IT IN 2004 RIDING IT UP AND DOWN THE ROAD A COUPLE OF TIMES BEFORE PUTTING IT INTO DRY STORAGE WHERE IT HAS REMAINED FOR 15 YEARS WHILST HE POLISHED IT AND LOOKED AT IT ! NO ATTEMPT HAS BEEN MADE TO START IT THEREFORE IT IS OBVIOUSLY OFFERED FOR SALE AS A NON RUNNER. ITS A PITY ITS NOT AN RD350LC IN THE SAME CONDITION OR IT WOULD HAVE BEEN WORTH £5K, NEVER THE LESS IT ISNT , THEREFORE ITS OFFERED FOR ONLY £795 NO OFFERS TO CLEAR , GENUINE PEOPLE ONLY PLEASE ., Red, Please be sure to ring before coming to view any of our bikes as were not always at the shop ! Red, LOVELY EXAMPLE OF THIS RARE RETRO 676cc KAWASAKI TWIN , BELIEVED TO BE A DUTCH IMPORT BUT DECLARED NEW AT FIRST REGISTRATION WITH ONLY 1 PREVIOUS LADY OWNER , COMES WITH OWNERS MANUAL IN DUTCH AND USED KAWASAKI SPARE KEY , DONE 68,000 MILES OR 125,000 KM'S. BELONGED TO A MATURE OWNER FOR THE LAST 14 YEARS , ALMOST 100% ORIGINAL WITH THE EXCEPTION OF A STAINLESS STEEL REAR MUDGUARD . THIS BIKE MIMICS THE CLASSIC BRITISH BIKES FROM 60 YEARS AGO EVEN SPORTING SIMILAR LOOKING TYRES BUT BOASTING IMPROVED BRAKES , ELECTRIC START AND IMPROVED RELIABILITY WITH NO OIL LEAKS ! STARTS , RUNS AND RIDES GREAT WITH 12 MONTHS MOT . I DOUBT YOU WILL FIND A CHEAPER ONE , GENUINE BARGAIN, Please be sure to ring before coming to view any of our bikes as were not always at the shop ! Blue, 1982 UK KAWASAKI Z1000J STREETFIGHTER RESTORATION PROJECT FOR SPARES OR REPAIRS , GENUINE UK BIKE , HPI CLEAR , 5 PREVIOUS OWNERS , LAST OWNER HAD IT SINCE 1990 AND IT WAS LAST PROPERLY ON THE ROAD IN 2002 , THEN COVERED IN GREASE AND PUT AWAY , A BRAVE RESTORATION OR A VALUABLE SOURCE OF PARTS TO ASSIST WITH ANOTHER PROJECT , ENGINE BELIEVED GOOD BUT MILEAGE UNKNOWN , BUILT WITH SLAB YOKES , MICRON FORKBRACE , FONZY BARS , MONO SHOCKED WITH WHAT LOOKS LIKE YAMAHA SWING ARM , REAR WHEEL , DISC , CALIPER , EXHAUST etc .. OBVIOUS ABSENT ITEMS ARE CLOCKS , DRIVE CHAIN , FRONT CALIPERS AND LIGHTS / INDICATORS BUT NOT AN EXHAUSTIVE LIST SO PLEASE STUDY THE PICTURES , THIS BIKE IS ROUGH AND LOOKS LIKE ITS BEEN FEATURED IN THE FILM MAD MAX , PRICED TO CLEAR , STRICTLY NO OFFERS WHATSOEVER OR TIMEWASTERS , BARGAIN, Please be sure to ring before coming to view any of our bikes as were not always at the shop ! Blue, ZR750K1H , UK HPi Clear Example , 1 Prev Owner , 54k , Very Well Serviced With Plenty of History , Spare Key , Owners Manual , warranty book , Lovely Bike , very Original , NO Signs of any Accident damage , Rides Really Well , Fitted With New radiator and Adjustable Levers , Mot til December , Rideaway .., Please be sure to ring before coming to view any of our bikes as were not always at the shop ! Grey, GENUINE UK KAWASAKI ZX7R P4 NINJA, LAST MODEL OF THIS ICONIC SUPERSPORTS RANGE , 2 PREVIOUS OWNERS , ONLY 31,609 GENUINE MILES , STAINLESS STEEL STUBBY EXHAUST , GOODRIDGE STAINLESS BRAKE LINES , WAVEY DISCS , DONE IN GUNMETAL GREY WITH POLISHED ALLOY , STARTS FIRST TIME , NO MOT , IDEAL TRACK BIKE , BARGAIN, Please be sure to ring before coming to view any of our bikes as were not always at the shop ! Purple, GENUINE UK D MODEL KAWASAKI ZZR1100 FINISHED IN THE RARE VERY DARK MET. PURPLE WITH 8 PREVIOUS OWNERS , 57K , RUNS VERY WELL WITH ORIGINAL KAWASAKI 4/2 EXHAUST SYSTEM , REPLACEMENT AFTERMARKET OIL COOLER , UPDATED ZX6R FRONT MUDGUARD . PLEASE STUDY THE PICTURES , THIS IS AN ATTRACTIVE LOOKING BIKE IN ITS DEEP MET PAINTWORK COMPLIMENTED WITH POLISHED RIMS AND DECENT TYRES , A LOT OF BIKE FOR THE MONEY WITH 12 MONTHS MOT, Please be sure to ring before coming to view any of our bikes as were not always at the shop ! FACTORY GUNMETAL OVER BLACK , 2010 GENUINE UK KAWASAKI ZX1400 DAF ABS , THE LEGENDARY KAWASAKI ZZR1400 , 2 PREVIOUS OWNERS , 1 OF WHICH WAS THE DEALER , COMES WITH EVERY BIT OF LITERATURE FROM DAY 1 INCLUDING FULLY STAMPED UP SERVICE BOOK BY THE SAME KAWASAKI MAIN AGENT FROM NEW , KAWASAKI OWNERS MANUAL , SPARE UNUSED KEY AND FOB , DATATOOL AND ALPHA DOT SECURITY WITH ALL NECESSARY PAPERWORK AND CERTIFICATES , EVERY MOT AND RECEIPT etc FROM NEW , VERY DIFFICULT TO BELIEVE THAT THIS INCREDIBLE BIKE HAS DONE 62K , FITTED WITH BAR RISERS , HEATED GRIPS AND CRASH BUNGS OTHERWISE COMPLETELY ORIGINAL THROUGHOUT , NEW TYRES , STUNNING LOOKING BIKE IN EBONY AND GUNMETAL , WITH MOT UNTIL JUNE 2019 AND OBVIOUSLY NO ADVISORY NOTICES , FIRST TO SEE WILL DEFINITELY BUY ,, Please be sure to ring before coming to view any of our bikes as were not always at the shop ! call us before setting off. T REG 1999 , GENUINE UK KAWASAKI ZZR600E7 , HPI CLEAR AND FINISHED IN ATTRACTIVE FACTORY PAINTWORK WITH ONLY 42,709 GENUINE MILES AND FACTORY FITTED LASERLINE SECURITY INCLUDING SPARE FOB . FITTED WITH STAINLESS STEEL DOWNPIPES OTHERWISE COMPLETELY ORIGINAL INCLUDING OWNERS MANUAL . VERY IMPRESSIVE LOOKING BIKE AND A GREAT ALL ROUNDER WITH MOT UNTIL SEPTEMBER. BARGAIN, Please be sure to ring before coming to view any of our bikes as were not always at the shop ! call us before setting off. 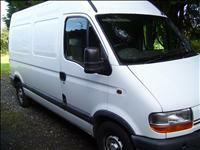 SALVAGE FOR SPARES OR REPAIRS! Black, 1998 GENUINE UK BIKE IN LOVELY CONDITION . THIS BIKE HAD AN INSURANCE CAT C CLAIM MADE AGAINST IT BACK IN 2006 BUT HAS PASSED 12 MOTS SINCE THEN AND WILL BE OFFERED WITH A FRESH 12 MONTHS MOT FOR ITS NEW OWNER . DONE 60K , STARTS AND RUNS AND RIDES GREAT , PLEASE STUDY THE PICTURES - THIS IS A LOVELY BIKE THAT HAS CLEARLY BEEN LOVED ! FINISHED IN FACTORY BLACK WITH SUBTLE GOLD TOUCHES AND EXTRAS incl .. CARBON FIBRE END CAN WITH REMOVABLE BAFFLES , STAINLESS STEEL OIL COOLER GUARD , STAINLESS STEEL BRAKE LINES , BELLY PAN , BIKINI FAIRING , SPORTSRACK ,RENTHALS , FENDER EXTENDER , FORK PROTECTORS , SMALLER CLEAR LENSE REPEATERS , A LOVELY EXAMPLE , 12 MONTHS MOT , LOW INSURANCE GROUP , FIRST TO SEE WILL BUY, Please be sure to ring before coming to view any of our bikes as were not always at the shop ! Black, HPI CLEAR UK BIKE , 44K , ORIGINAL OWNERS MANUAL / SPARE KEY / LOTS OF PAPERWORK . AN ATTRACTIVE MID SIZE SPORTS TOURERFITTED WITH NEW 46 LITRE GIVI DETACHABLE LUGGAGE BOX CAPABLE OF CARRYING TWO HELMETS . FULL LAZER 4/1 PRO D'or EXHAUST SYSTEM GOODRIDGE STAINLESS STEEL BRAKE LINES , RECENT QUALITY SET OF TYRES . STARTS , RUNS AND RIDES EXCELLENT WITH 12 MONTHS MOT . GOOD BIKE FOR SOMEBODY , BARGAIN, Please be sure to ring before coming to view any of our bikes as were not always at the shop ! White, UK SUZUKI GSX750F SLINGSHOT 106BHP IN ORIGINAL WHITE/RED PAINTWORK WITH 34K ON THE CLOCK - THE AIR/OIL COOLED 16V MOTOR RUNS WELL , UPGRADED REAR SHOCKFROM A 'K' SERIES BANDIT - LIFTING THE REAR END SLIGHTLY AND GIVING THE BIKE AN IMPROVED STANCE ! FITTED WITH A STAINLESS STEEL EXHAUST SYSTEM AND TINTED SCREEN . ATTRACTIVE LOOKING BIKE FOR ITS YEAR AND CERTAINLY FOR ITS PRICE , ELIGIBLE FOR CLASSIC INSURANCE , FITTED WITH NEW BATTERY AND 12 MONTHS MOT .BARGAIN, Please be sure to ring before coming to view any of our bikes as were not always at the shop ! GENUINE UK FAIRED SUZUKI SV650SY IN THE DESIRABLE METALIC BLUE . HAD A CAT N CLAIM (NON STRUCTURAL) 1 PREVIOUS OWNER FROM NEW , LAST OWNER HAD IT FOR 18 YEARS AND DID 80K ON IT , ITS CURRENTLY SHOWING 81,839 MILES AND STARTS , RUNS AND RIDES FINE WITH NO SIGNS OF ANY ACCIDENT DAMAGE AND LITTLE CORROSION . GOOD OVERALL CONDITION , MOSTLY ORIGINAL ORDER AND COMPLIMENTED WITH BLUE TINTED SCREEN , SCOTTOILER AND BILLET STYLE ALLOY FOOTRESTS , SOLD WITH 12 MONTHS MOT , BARGAIN , STRICTLY NO OFFERS , NO MESSERS , GENUINE PEOPLE ONLY PLEASE, Blue, Please be sure to ring before coming to view any of our bikes as were not always at the shop ! call us before setting off. 99T GENUINE UK HPI CLEAR TRIUMPH TROPHY T309 900cc TOURER, REGISTERED 13/08/1999 WITH 39,353 GENUINE MILES , FACTORY DATA TAG , COMES WITH HUGE HISTORY INCL ALL ITS OLD MOTS , OWNERS MANUAL , SERVICE BOOK , SPARE KEY , STACKS OF RECEIPTS etc A VERY WELL MAINTAINED AND SERVICED BIKE WITH NEW AVON STORM HIGHLY ACCLAIMED MILEAGE TYRES AND QUALITY NEW CHAIN AND SPROCKETS . HEATED GRIPS AND COLOUR CODED TRIUMPH HARD LUGGAGE DETACHABLE SIDE BOXES . SOLD WITH 12 MONTHS MOT FOR NEW OWNER . FIRST TO SEE WILL BUY, Please be sure to ring before coming to view any of our bikes as were not always at the shop ! call us before setting off. 2003 PIAGGIO VESPA ET4 125 4/STROKE ELECTRIC START, TWIST AND GO AUTOMATIC SCOOTER . GENUINE UK BIKE REGISTERED 13/06/2003 , 1 PREVIOUS OWNER , 26K , FINISHED IN FACTORY METALIC DARK GREEN , STARTS FIRST TIME AND RUNS WELL WITH 12 MONTHS MOT . FIRST TO SEE WILL BUY, Please be sure to ring before coming to view any of our bikes as were not always at the shop ! call us before setting off. RUNS AND RIDES FINE - REQUIRES TIDYING UP ! call us before setting off. 2010 HPi CLEAR UK VESPA GTS125 SUPER IE , 2 PREVIOUS OWNERS , 18,500 MILES / 35,000 KM'S . LOVELY COOL RETRO SCOOTER IN BLACK WITH RAF ROUNDEL MOD DECALS , PLENTY OF STORAGE , ELECTRIC START , EVERYTHING WORKING , RIDES WELL AND QUITE HAPPY AT 65 MPH . SOLD WITH 12 MONTHS MOT FOR NEW OWNER, Please be sure to ring before coming to view any of our bikes as were not always at the shop ! Black, Genuine UK Hpi Clear FZR1000 Exup RU with DataTag , 7 Previous Owners , Finished In Original Paintwork With 47k , Vosa Mot History Printout , Stainless Steel System With Stainless Venom Sports Can , Smoked Screen . Starts , Runs and Rides Well With New Front Tyre , New Fork Seals and 12 Months Mot , STRICTLY NO OFFERS OR TIMEWASTERS THANKS , PRICED FOR QUICK SALE ,, Please be sure to ring before coming to view any of our bikes as were not always at the shop ! Black, GENUINE UK BIKE , HPi CLEAR REGISTERED 1990 , THIS CLASSIC CRUISER QUALIFIES FOR CLASSIC INSURANCE , FINISHED IN BLACK AND CHROME , GENUINE 42K , FITTED WITH HIGHER CHOPPER STYLE HANDLEBARS , FULL REMUS EXHAUST SYSTEM , CHROMED SIDE PANELS , SMALLER CHROMED REPEATERS , CHROME MIRRORS WITH LIVE TO RIDE EMBLEM , SISSY RAIL , CHROMED RIMS SHINE NICELY , QUALITY NEW SET OF TYRES AND 12 MONTHS MOT , BARGAIN, Please be sure to ring before coming to view any of our bikes as were not always at the shop ! LOVELY GENUINE UK BIKE IN STD PAINT WITH ONLY 24,000 MILES FROM NEW. THE ONLY FLAW IS A DENT ON THE TANK BUT OTHERWISE A REALLY REALLY TIDY ATTRACTIVE BIKE WITH MEGA LOW MILES THAT IS MECHANICALLY EXCELLENT , GOOD CHROMEWORK , STACKS OF HISTORY , EXTRAS INCL SISSY RAIL , PANNIER RAILS , CLOCK , USB AND AUX PLUG , MOT 2020, FIRST TO SEE WILL BUY, Red, Please be sure to ring before coming to view any of our bikes as were not always at the shop ! GENUINE UK HPI CLEAR YAMAHA YBR125 WITH 29K AND 1 LADY OWNER FROM NEW . LOVELY GENUINE BIKE IN ORIGINAL YAMAHA FACTORY BLACK PAINTWORK , FITTED WITH EXTRAS'S incl .. TINTED SCREEN WITH YBR LOGO , CRASH BARS AND LUGGAGE RACK . IDEAL FIRST BIKE WITH NO PROBLEMS AND 12 MONTHS MOT . FIRST TO SEE WILL BUY, 2 seats, Black, Please be sure to ring before coming to view any of our bikes as were not always at the shop ! call us before setting off. *SOLD WITH NO KEYS AS A NON RUNNER* 56 REG YAMAHA . ATTEMPTED THEFT DECLARED CAT C 11/05/2017 , NON RUNNER WITH NO KEYS , PLEASE READ THE ADVERT , NO YOU CANNOT RIDE THIS BIKE HOME , BRING A TRAILER OR VAN ! ! ! NO KEYS , V5 INCLUDED IN SALE , MOT HISTORY CHECK REVEALS THE MOT EXPIRED MARCH 2019 WITH 10K RECORDED MILES. WITH A REPLACEMENT CODED KEY AND A COUPLE OF PANELS IT MAY MAKE A DECENT SCOOTER ALTERNATIVELY A VALUABLE SOURCE OF PARTS IF YOU HAVE ONE OF THESE . 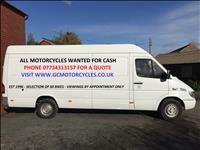 THESE BIKES WERE NEARLY £3K NEW , PRICED TO CLEAR , NO DELIVERIES ON THIS ONE , NO FOOLS OR MESSERS , BRING A VAN , BARGAIN, Please be sure to ring before coming to view any of our bikes as were not always at the shop ! Blue, GENUINE UK HPI CLEAR YAMAHA R1 IN BLUE WITH PLENTY OF HISTORY AND 38,859 MILES . MATURE OWNED FOR LAST 10 YEARS AND FITTED WITH SOME NICE EXTRAS , INCL ... STEERING DAMPER , HARRIS ADJUSTABLE REARSETS , GOODRIDGE STAINLESS STEEL BRAKE LINES , SCORPION CARBON FIBRE OVAL EXHAUST CAN , CARBON FIBRE EFFECT MIRRORS , UNDERTRAY / TAIL TIDY / LED REAR LIGHTS , POLISHED SWINGING ARM AND FOOTREST HANGERS ETC . LOOKS GOOD , RUNS GOOD , RIDES GOOD , 12 MONTHS MOT , A BARGAIN PRICED TIDY R1 SO STRICTLY GENUINE PEOPLE ONLY , NO OFFERS , NO TIMEWASTERS . FIRST TO SEE WILL BUY, Please be sure to ring before coming to view any of our bikes as were not always at the shop ! Red, UK Hpi Clear Bike , Showing 11k , Runs As New , Absolutely Stunning Looking Machine , Outrageously Fast Bike , Many Many Extras Incl Carbon Fibre Stubby can , Rear Sets , LED Rear Light Combining Indicators , seat Cowl , Goodridge Stainless steel Brake Lines , Crash Bobbins , Tank Grippers , Sold With 12 Months MOT For New Owner , Strictly NO OFFERS , Timewasters or Daft PX Offers Thanks , First Genuine Viewer Will Buy, Please be sure to ring before coming to view any of our bikes as were not always at the shop ! LATE REGISTERED HPI CLEAR YAMAHA YZF1000R THUNDERACE , DONE 30K ,FITTED WITH SOME NICE EXTRAS INCLUDING .. D&D CARBON FIBRE HIGH LEVEL SPORTS CAN , UNDERTRAY , LED REAR LIGHT LENSE , TINTED SCREEN , SMALLER INDICATORS etc etc . STARTS , RUNS AND RIDES GREAT WITH BAGS OF POWER AS YOU WOULD EXPECT WITH 145 BHP , SEVERAL COSMETIC IMPERFECTIONS BUT NO SIGNS OF ANY SERIOUS ACCIDENT DAMAGE , FITTED WITH NEW FORK SEALS AND 12 MONTHS MOT , FAST COMFY BIKE FOR THE SUMMER, 2 seats, Red, Please be sure to ring before coming to view any of our bikes as were not always at the shop !